Must Live in Southwest Kansas or the Oklahoma and Texas Panhandles. Must like our Facebook page and share our Facebook page. Fill out the registration form on this website, completing the water survey and checking the “has my permission to contact me” box. 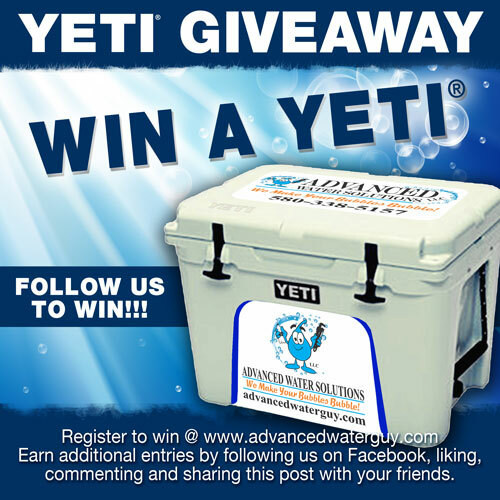 Family and Employees of Advanced Water Solutions LLC are not eligible for drawings or prizes. Winners will be drawn monthly and notified by Phone and/or email and our Facebook page.